Miss the eclecticism and approachability of Frager’s? 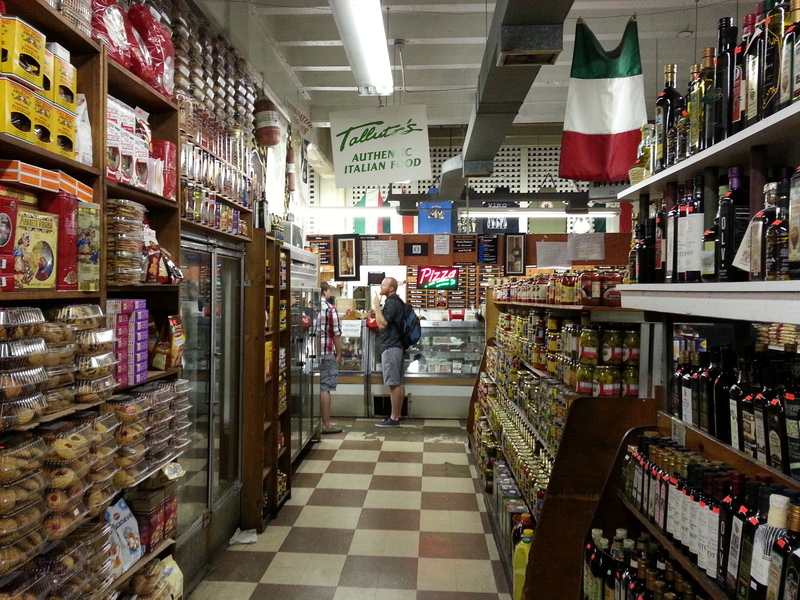 A. Litteri Italian grocery in the warehouse district will remind you of the Capitol Hill institution. Litteri’s features house made Italian sausage – hot or mild – some 80 brands of olive oil, and legendary Italian Subs. It’s an easy drive – ten minutes – from Capitol Hill, straight north on 8th Street to Florida Avenue, left on Florida to 6th Street, one block right on 6th to Morse. A. Litteri is in the first block on the left behind the unpretentious exterior, painted in the Italian flag’s white, and green. Inside is a option-overload of Italian food and wine choices – items and brands unavailable elsewhere. Best place to pick up your lunch! Great deli counter. Good for you – pinpointing Litteri’s. Recently started going back to shop there…. can’t for the life of me think why I stopped. Probably because you do need to drive….. so now whenever the car is on a rare outing always manage to come home via Litteri’s. The best Italian grocery in the city. There’s a better Italian grocer in the suburbs? Do tell.